Spring is here! Talk about blooming plants that happen this time of year in your area. Tulips, daffodils, hyacinth are common ones. Hold flower bulbs and/or flowers and talk about them! 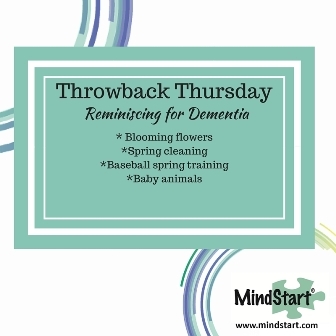 Spring time means cleaning, whether it be inside housework or outside yard work (see yard work activities adapted for dementia). 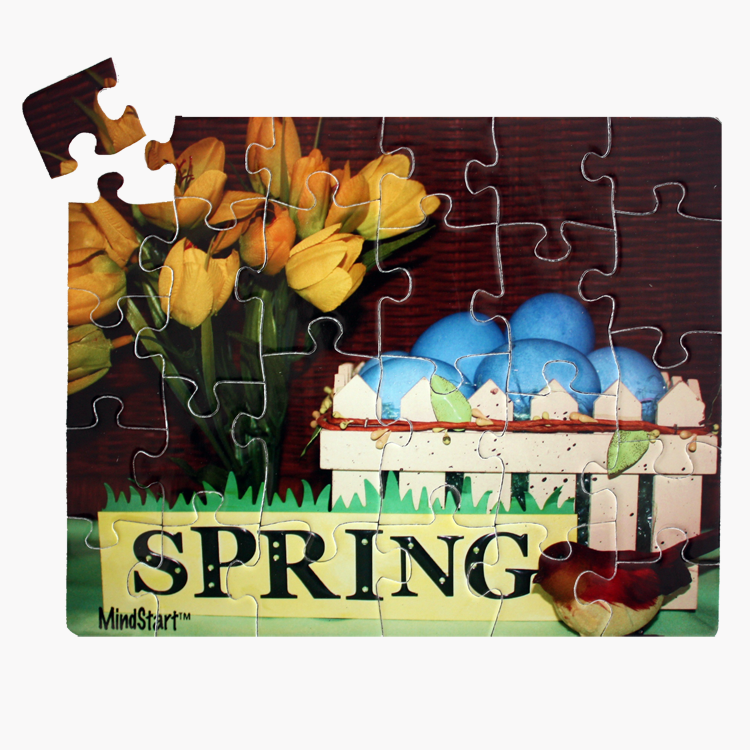 Talk about spring chores and/or get the person to help you! Wash windows, rake leaves, dust, sweep the sidewalk, etc. Spring training for baseball is underway! What is the local professional team in your area? Bring in baseballs, fan t-shirts, banners, etc and talk about them or play old games you find on sports channels. You might even find live baseball practices or games going on at the local fields near you to watch. Combine your reminiscing with a good old fashioned hot dog or ice cream and sing "Take Me Out to the Ball Game!" The animals are coming out of their winter hiding or migration and new babies are being born! Talk about baby bunnies or chicks, look at pictures, or visit a local farm or petting zoo to see them live. What ideas do you have for reminiscing this week? Want more ideas to use? Sign up below!